Editor's note: This recap is best enjoyed while listening to this song. Four teenagers are in a vigilante group called the Tough Boys where they dress like ninjas and burn down crack houses. They believe their next hit to be their biggest job yet, but it's a trap laid by a drug dealer to ambush them. MacGyver figures out who the mastermind behind the Tough Boys is and stops him from blowing himself up along with the drug dealer. Tough boys, tough boys, they're coming at 'ya! To-To-To-Tough boys, tough boys! The ending is a bit odd where Manny calls the press to watch him kill himself and the drug dealer. First of all, why is he killing himself too? And the press doesn't seem alarmed by the fact that there's a bomb about to go off - they are just calmly filming everything. And we don't see any police until after MacGyver and Hines get on the boat and get Manny to stop and then we see about 12 of them run into view. Runs a hose through a ladder and knocks the bad guy off a balcony with the force of the water. A rockin' opening scene to start Season 6! You can see it in the video link at the top of the post. I like it - good way to hook the audience right off the bat. This episode came out in 1990, and it appears as if the writers were inspired by Teenage Mutant Ninja Turtles which came out earlier in the year. And the song - that is one catchy tune! This was clear by the fact that I was singing it to myself for the rest of the day after watching this episode. Let's add it to the music list. 11:00 mark - good scene where the Tough Boys are watching a tv report about themselves and MacGyver stands and watches them in the background unnoticed. 17:00 - cool how MacGyver notices that Hines is a southpaw and that Angel's bruise was done by a right-hander. We don't often see MacGyver as having extraordinary hyper-observancy, but it's a good trait for a hero to have. 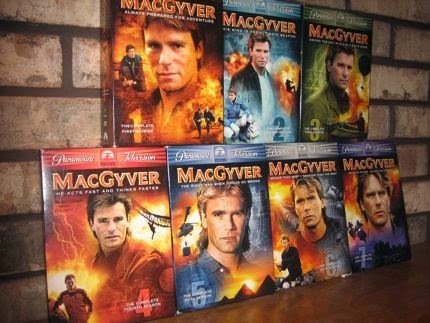 My point is that MacGyver as a series was incredibly diverse. These episodes were even from the same seasons (5 and 6) and yet they were very different. Another show that I enjoyed as a kid was Quantum Leap, and that was very diverse also in that every episode was in a totally different setting. In today's day and age, there's usually one story arc that goes through an entire season, and that has its advantages too, but I do like how there are many unique, one-of-a-kind episodes that give this show and character great range and depth. Another one that was much better than I remembered. We'll see how the rest of them are, but I fear I have this one too low. As stated above, the scenes with Hines and MacGyver are fantastic and the music adds some extra oomph. Next up, we're getting out of Season 5/6 issues and dreams and going on an old-fashioned MacGyver adventure! Your blog prompted me to watch this one again and I too, found it better then I remembered. MacGyver's looking good - he's had a haircut since the excesses of season five! The scenes with him and Hines are great and Richard Roundtree brings some extra class to the episode. I like it whenever MacGyver reveals his expert knowledge of covert ops (when he's talking to Manny about the trap and net) and stuff that people who don't know him don;t expect, like the 'southpaw' scene you mention where MacGyver calculates that Hines would have done a lot more damage if he'd been the one to hit Angel. These people don't know what MacGyver's been through! Fun ending where MacGyver takes over the class and a great smile in the last frame. I liked the covert ops discussion too - as you said, it's fun to see different sides of MacGyver's knowledge, and it's normally done in a way that doesn't seem over-the-top. We're close on this episode and walked away with almost identical impressions. The story itself was fairly predictable (even when I was 13 I knew Manny would end up being the leader of the Tough Boys) but the characters and imagery were magnificent. By far the best moments were the interactions between MacGyver and RT Hines, easily one of MacGyver's best foils in the series' seven seasons. For the life of me I can't figure out why they didn't bring him back for more guest appearances. Beyond that, the music was highly addictive and the ninja warrior theme very nicely produced. I liked the scene at the end more than you. Manny clearly didn't care about ending his own life which is why I think he was making a public spectacle of assassinating the drug lord. His pain over losing his daughter was raw, but I liked how MacGyver and Hines walked him off the ledge by reminding him of the granddaughter he had to take care of. I ranked this episode #84 which probably is a little lower than it deserves but as I said the story itself was predictable. I doubt it was a coincidence that this episode's hip-hopped stylings just happened to occur on the season premiere in which NBC's "Fresh Prince of Bel-Air" began airing Mondays opposite MacGyver. The series was clearly poised to cut into MacGyver's audience demographic so I can see why they tried to counter that with an episode like this. Interesting point about Fresh Prince, that's a good theory you pose. Here is an interview on Arsenio Hall show where RDA talks about this episode and makes reference to French Prince. Oh it's good to finally be continuing the series! The Tough Boys rap was about as catchy as that genre, which I'm none too fond of, can be and added to quite a dramatic introduction with the explosions and shadowy figures. It was fitting that everything revolved around the Challengers Club and the disaffected youth again. 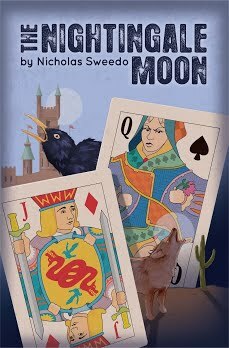 Some of the darkest subjects to be covered in the series have been related to that place, most chillingly the devastating murder of Booker, and it continued when Coco was gunned down. There was great acting by Richard, Hines and the Tough Boys but I did feel Manny was a bit wooden, even when delivering his final speech. I felt the same about the actor in Treasure Of Manco. Still, that was only a minor point and in general this was a strong episode which dealt with drugs and crime in a different way. Oh thanks for the song Nick! Love the song and what a great episode! :) To-To-To-Tough boys, tough boys! I usually like all of Macgyver's hair styles but this one. Whoever did it, cut it too square. It looks odd. "The ending is a bit odd where Manny calls the press to watch him kill himself and the drug dealer. First of all, why is he killing himself too? " Because he is depressed over what happened to his daughter.. Or was it granddaughter? "Another show that I enjoyed as a kid was Quantum Leap"
Oh yeah? I used to watch Quantum leap too!!! Another great show! :) Love that show.